Ring Details: 14k white gold with a twisted rope grooves and high polished edge. 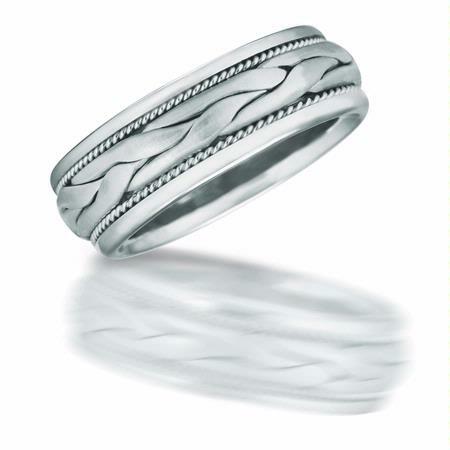 This fantastic men's 14k white gold wedding band ring features a twisted rope grooves and high polished edge. A symbolic expression of your everlasting love! This ring is a size 9 and measures 8mm wide.